USSR president Mikhail Gorbachev resigned on Christmas Day 1991, hammering in the final nail in the coffin of the Union. 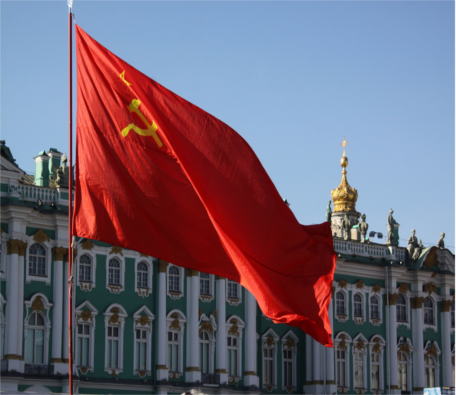 On December 26, the Russian government took over the offices of the USSR in Russia. But this didn’t come out of nowhere. The USSR’s fall followed years of rising nationalist movements, severe food shortages, and even an attempted coup. Before his groundbreaking resignation, Gorbachev had implemented a wave of major economic and social changes. In his home village of Privolnoye, a commemorative plaque declares that he was the first leader to whom Russians could say ‘no’. But many of these changes threatened the very foundations of the Soviet Union. 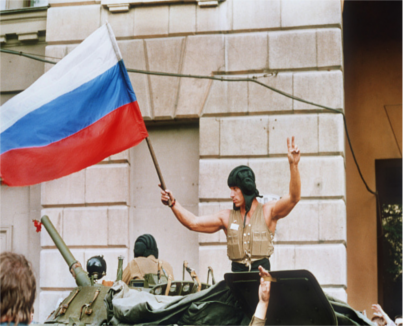 Two years earlier, the ‘Revolutions of 1989’ saw Soviet-imposed communist regimes toppled in central and eastern Europe. The movement began in Poland, before moving on to Hungary, East Germany (also known as the DDR), Bulgaria, Czechoslovakia, and Romania. In East Germany, a series of public rallies led to the monumental fall of the Berlin Wall on November 9, 1989. The following year, Gorbachev found himself dealing with increasingly vociferous independence movements in Soviet-ruled Baltic states. In August 1991, senior officials attempted to detain Gorbachev at his holiday villa in Crimea. The cabal included Defence Minister Dmitry Yazov, Vice President Gennadiy Yanayev, and the heads of the Interior Ministry and the KGB. However, their plan failed – and they were themselves arrested after just three days. But the Union was on its last legs. Boris Yeltsin, who had left the Soviet Communist party to be elected president of the Russian Soviet Federative Socialist Republic the previous year, banned the Soviet Communist Party in Russia and seized its assets. He then recognised the independence of the Baltic republics. Soon afterwards, Ukraine declared its own independence, followed by other countries. 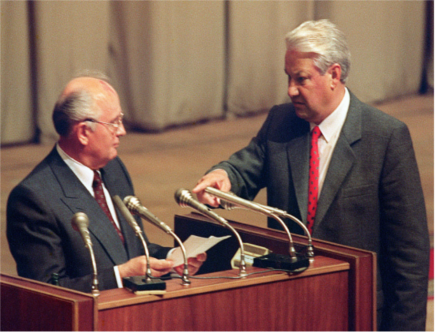 In September 1991, the Congress of People’s Deputies voted for the dissolution of the Soviet Union, and on December 8 Russian, Ukrainian and Belarusian leaders signed an agreement setting up the Commonwealth of Independent States (CIS). On Christmas Day, Gorbachev resigned, and the Russian Government took over the next day.